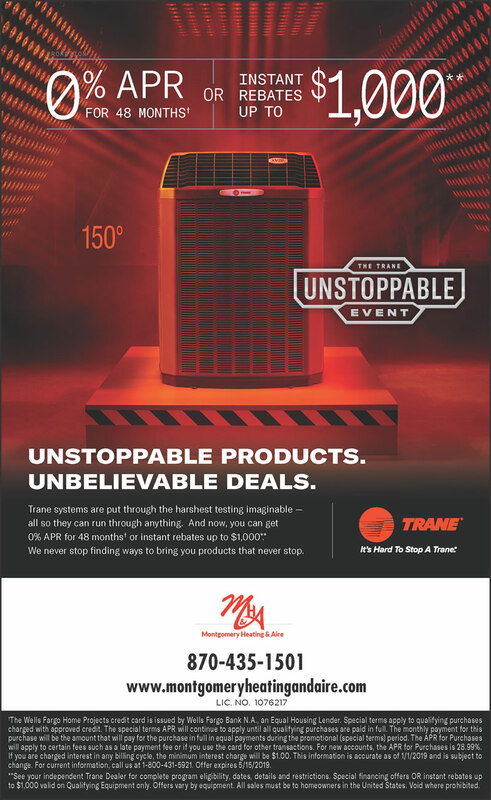 Montgomery Heating & Aire is excited to announce our largest sales event of the year, the Trane Unstoppable Spring Sales Event! Now through May 15, 2019, take advantage of instant rebates or 0 % financing with the best rates and financing times (48 months) anywhere in our area. If you've been waiting for a new Trane system, now is the time. *Instant Rebates or 0% Financing for 48 months. *With approved credit. Offer applies to qualifying equipment only. Ask For Details.